HOLLYWOOD star George Clooney's wife Amal is reportedly pregnant with twins, the New York Post is reporting. It has long been speculated that the couple - who married in September 2014 - were expecting. "Beyoncé is not the only superstar expecting twins," The Talk host Julie Chen, revealed on the US daytime program. 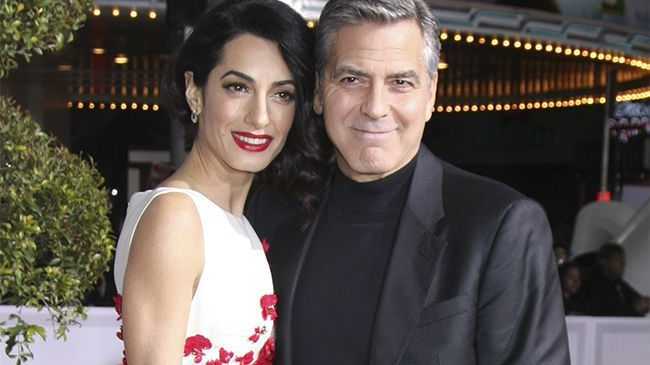 "Congratulations are in order for George and Amal Clooney," she said, according to Us Weekly. The power couple is yet to release an official statement. Amal is a hugely successful human rights lawyer.